The changes in light cource also enabled long-running projection systems, such as towers and platters, which could hold an entire film on a single reel. 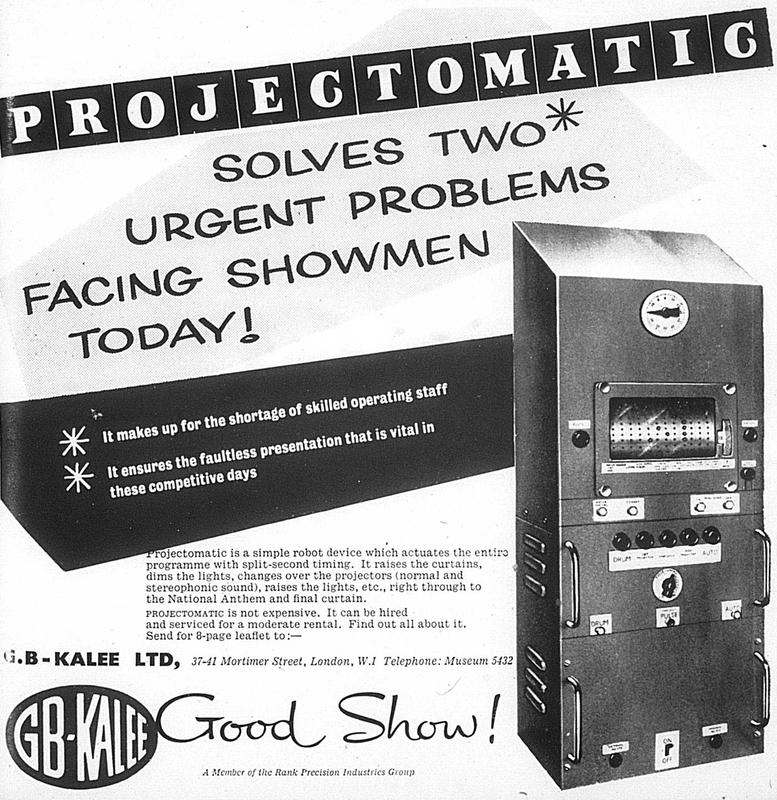 From the mid 1950s, automated projection systems allowed for a film show to be pre-programmed by the projectionist. Small metallic strips were placed at the relevant point on the film and as it passed through a pick-up a set operation would be carried out. The projectionist still had to make-up the film print, lace the projector, start it and then rewind the film once it had ended. However all other operations could be controlled automatically. In this audio clip, Mick Corfield describes the changes that took place in the projection box with the arival of automated projection equipment. Mick Corfield descibes the automation system in his cinema.